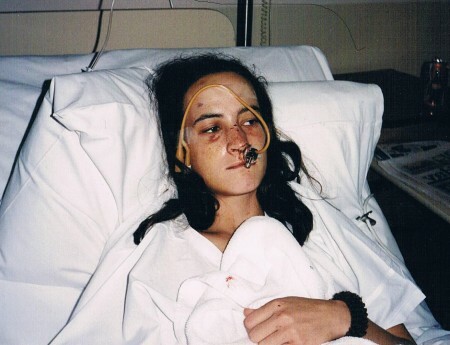 Four years ago, human rights, legal and social justice organisations called upon the Victorian Government to respond decisively to the United Nations decision on the case of Corinna Horvath (pictured) , a young woman who was allegedly bashed by a policeman in her home more than 20 years ago. Since that letter there has been an apology provided to Corinna, an ex-gratia payment made, a prosecution underway and an Parliamentary inquiry. This week, these same organisations have written again calling for further action to ensure allegations of serious police misconduct are investigated promptly, effectively and independently. The letter is printed in full below and available as PDF here. Four years ago, the undersigned organisations, wrote to your respective offices in order to urge a substantive response from the State of Victoria to the findings of the United Nations Human Rights Committee (‘Committee’), and the timely implementation of the Committee’s direction to Australia and, by necessity, the State of Victoria, to remedy its breaches of the International Covenant on Civil and Political Rights (‘ICCPR’), as articulated on 27 March 2014. Specifically, we requested that the Victorian Parliament cause an open and transparent review of specific Victorian legislation to ensure conformity with the ICCPR in light of the views adopted by the Committee in respect of the communication submitted by Victorian woman, Corinna Horvath. In the matter of Horvath v Australia (2014), the Committee found that the State party is under an obligation to compensate Ms Horvath adequately, to amend the law to guarantee that victims of police human rights abuses are adequately compensated and to ensure that police perpetrators of human rights violations are adequately disciplined through an independent, effective and impartial complaints body. The State is obliged to ensure victims of human rights abuses ‘shall have an effective remedy, notwithstanding that the violation has been committed by persons acting in an official capacity’. Since that letter four years ago (24 July 2014), the State of Victoria has made an ex-gratia compensatory payment to Ms Horvath and others and along with an apology issued by the then Chief Commissioner of Victoria Police, Ken Lay. In December 2014, the Independent Broad-Based Anti-Corruption Commission (IBAC) initiated an own-motion review of the Victoria Police’s handling of Ms Corinna Horvath’s complaints alleging police assault and associated Victoria Police disciplinary action. As a result of this review, in November 2016, Leading Senior Constable Jenkin was charged with intentionally causing serious injury, recklessly causing serious injury, intentionally causing injury and recklessly causing injury in relation to the unlawful raid on Ms Horvath’s home in 1996. This case remains ongoing. In June 2017, the Parliamentary IBAC Committee launched its Inquiry into the External Oversight and Investigation of Police Corruption and Misconduct in Victoria, in order to identify and consider best-practice strategies to improve the oversight and investigation of police corruption and misconduct and how they may be implemented in Victoria. Each of these developments have been welcomed by the undersigned organisations. 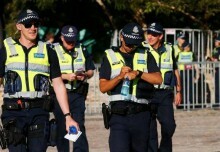 Overwhelmingly, complaints about human rights violations committed by Victorian police are investigated by police. The Independent Broad Based Anti-Corruption Commission (IBAC), an independent body operating since 2013, has legislative power to investigate police misconduct, however, it carries out very few investigations. Instead, IBAC refers approximately 90% of complaints it receives regarding police misconduct to Victoria Police for investigation. There remains no state liability for tortious human rights abuses carried out by police officers where that conduct is found to be serious and wilful. Perversely, this means that the Victorian State is not liable for the most serious types of police misconduct carried out by members of its own police force. And, where liability is found against individual officers for serious and wilful conduct, the Act provides that victims need to first pursue individual officers to receive their compensation (which can involve costly and lengthy processes). It is only once avenues of recovery have been exhausted that the State must consider awarding ‘an amount’ of compensation to the victim of the serious and wilful police conduct. There is also no legislative mechanism to compel the state to discipline police perpetrators of human rights abuses who are found to have engaged in serious and wilful tortious conduct. This means perpetrators can remain undisciplined and serving within the police force, even when a court of law finds the police officers have acted unlawfully. 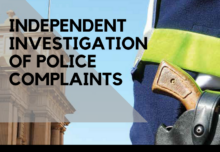 Other occurrences, such as recent reviews and audits conducted by IBAC in 2017 and 2018 have failed to recommend changes to Victoria Police complaint handling which would satisfy the requirements of the Horvath decision. In October 2017, the Vice-chair of the UNHRC, Dr Anja Ms Siebert-Fohr speaking to Australia’s non-compliance with the Horvath decision, reflected on the “massive police brutality” involved in the case, in which “Australia denied responsibility under the Covenant”. She queried: “What are the mechanisms in place to ensure victims have effective access to these remedies? We take this opportunity, on the eve of the IBAC Committee’s report, to reiterate that, as a party to the ICCPR, it’s up to the Australian Government (and by necessity, Victoria) to ensure effective remedies and non-repetition measures are implemented. We believe that a comprehensive, clear and bi-partisan response to the recommendations contained in the IBAC Committee report, supported by the Victorian Parliament is not only appropriate, but necessary. We reiterate that legislative reform in this area must ensure that the circumstances that led to the Committee’s findings in Horvath v Australia (2014), are not repeated. Furthermore, it is obliged to ‘adopt such legislative or other measures as may be necessary’ to ensure conformity with the Covenant (ICCPR art 2). We ask that you evaluate and act upon the recommendations of the IBAC Committee on that basis. 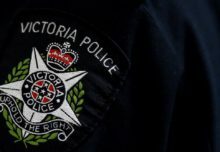 Currently, there is no independent body in Victoria that is adequately equipped or tasked to investigate allegations of excessive use of force or serious misconduct by members of Victoria police. Despite recent initiatives and own-motion investigations, IBAC has the resources to only investigate a very low proportion of misconduct complaints it receives or becomes aware of. IBAC as it stands, does not currently meet the legal obligation for Victoria to have an independent and impartial body which can investigate allegations of police misconduct, including police related deaths ‘promptly, thoroughly and effectively’. Victim centred; enabling the victim to fully participate in the investigation, including through access to information relevant to their complaint. 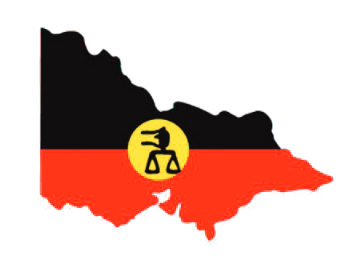 We believe that strong legislative reform is the critical next step to ensure conformity with the requirements of the ICCPR and fulfill Australia’s and Victoria’s international legal obligations, and enhance the human rights of all Victorians. Victoria’s inadequate response to complaints of misconduct by police has been a recurring issue in Victoria for decades and is damaging to community trust in police and public confidence in societal institutions. The report of the IBAC Committee’s Inquiry into the External Oversight and Investigation of Police Corruption and Misconduct in Victoria, provides an opportunity to enact important systemic reforms that reflect not only our international obligations, but the expectations of the Victorian community.